If you follow me OR we are friends on Facebook you've probably SEEN me posting about #theChallenge. So I guess it's time to SPILL the beans!! This is a BRAND NEW 30 day online challenge designed to get you STARTED on the road to success. I'm not going to lie to you... this is my BABY! I LOVE connecting with my challengers and sharing information, tools, and other resources that will make reaching goals easier than ever before! One on ONE support <---ME challenging you to get fit ONE day at a time! Busting the barriers, butting out the negativity, and changing your approach to fitness! We will start with the BASICS and ultimately conque or demons. Change doesn't happen overnight but habits are formed within 21 days! Are you ready to take it to the NEXT level?! EXCLUSIVE secret accountability group <--- This group will change each MONTH, it's ONLY open to new challengers and graduates. Participation is required... You will need to check in daily, I know you are busy but this won't take more than 10 minutes, if you're ready to change it won't be a problem, but I will warn you... inactive members will be removed! Mobile Headquarters <---This will link your mobile device to all of the challenge happenings! 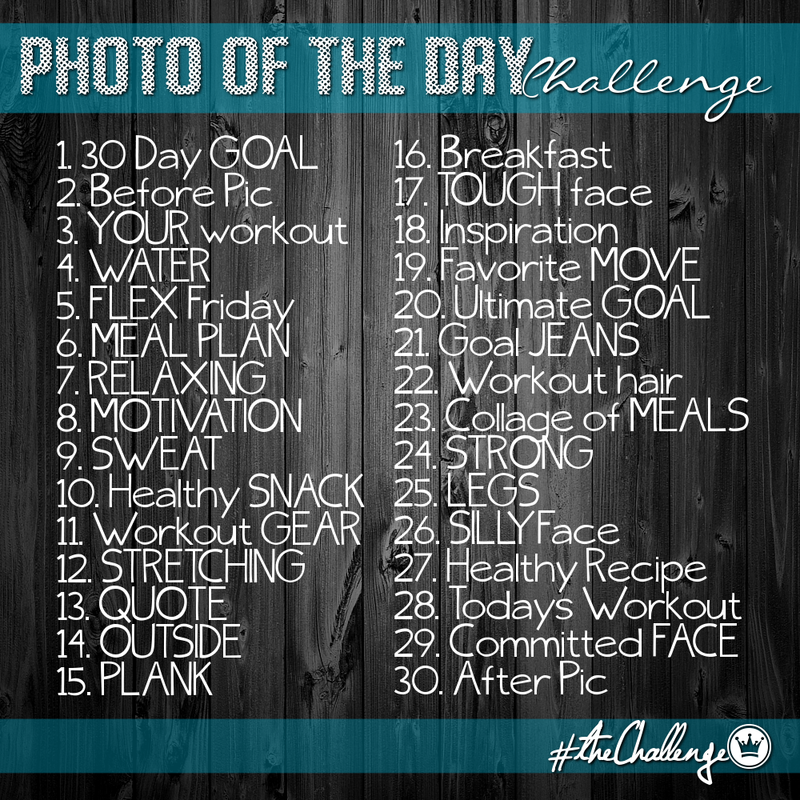 Check out the picture of the day challenge, get nutritional information, or connect to our accountability group! This one app will link you to everything challenge related!! Nutrition Guide PDF <---Located in the FACEBOOK group files, this is your clean eating basics guide to get you on the right track! Sample Meal plans PDF <--- Not sure what to eat everyday? Check out these sample meal plans and prep for a single day or an entire week!! AND a MOBILE website/App to keep you connected with our group & information! Everyday there will be a pinned check-in post <--if you are accessing the group from your mobile device you will need to click on the post to see it. You will need to check in daily by sharing your workout and rating your day on a scale of 1 to 5. We also have a photo of the day challenge that is completely OPTIONAL! You will be scored based on your participation each day... 5 points for the daily check in and 5 for photo of the day. At the end of the challenge ONE challenger will WIN!! RSVP. NOW by completing the registration below! You guys should definitely visit this site for more info on a topic and for some really good educative materials.